If you haven’t come across Kate Taylor before then you are in for a real treat. 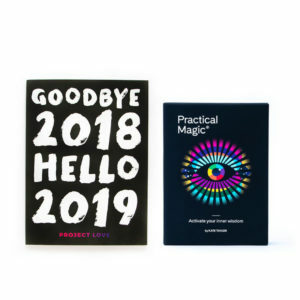 She is the creator of the Practical Magic Activation Deck, she’s a powerful creativity and empowerment coach and NLP practitioner, host of the Practical Magic podcast and has co-run THE most beautiful and powerful one-day retreat we have ever been to. 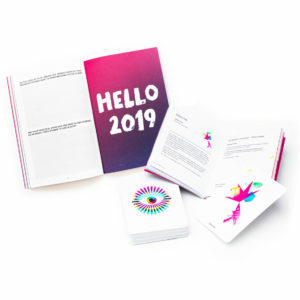 And because we really do think the journal and the deck are a genius combo, we are offering a special ‘2019 Activation Coaching Bundle‘ – buy the two together and save over £6! Discover more from the Project Love Podcast channel: dedicated to love and relationships, self love, real love stories, life design, finding a career you love and women who follow their hearts. By love and dating coach Vicki and life design coach Selina. On a mission to inspire and empower busy women to create lives, careers and relationships that they LOVE, acclaimed coaches Selina Barker and Vicki Pavitt founded Project Love. Project Love shows women how to cultivate love from the inside out and how to have the courage to follow their hearts. With a combined 14 years of experience behind them, their online courses and coaching programmes promote the power of sisterhood and community, empowering women to find love in all areas of their lives.